DSM-IV distinguishes two symptom domains of attention deficit hyperactivity disorder (ADHD): inattentiveness and hyperactivity-impulsivity. The present study examines the aetiologies and developmental relations underlying the associations between inattentiveness and hyperactivity-impulsivity over time, based on a representative population sample from the United Kingdom of approximately 7,000 twin pairs. ADHD symptoms were assessed as continuous dimensions using the DSM-IV items from the Conners’ Parent Rating Scale at two ages: middle childhood (age 1) and early adolescence (age 2). Quantitative genetic cross-lagged analyses showed that the association of the ADHD dimensions over time is influenced by stable as well as newly developing genetic factors. 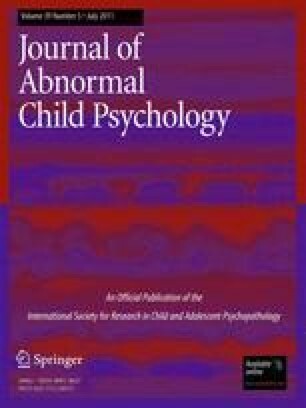 Moreover the longitudinal relationship between the ADHD dimensions appears to be unidirectional, with hyperactivity-impulsivity in middle childhood predicting the presence of inattentiveness in early adolescence, but not vice versa. Thus, hyperactivity-impulsivity may serve to exacerbate inattentiveness over time. Findings are discussed in the context of developmental changes in ADHD symptoms. Study supported by the United Kingdom Medical Research Council (G0500079). We are grateful to Twins Early Development Study families. Asherson has acted in an advisory capacity to Shire, Janssen-Cilag, Eli-Lilly and Flynn Pharma. He is the holder of an educational grant from Janssen-Cilag and a research grant from Shire. He has given talks at meetings or educational program sponsored by to Shire, Janssen-Cilag, Eli-Lilly and Flynn Pharma. The other authors have no competing interests to disclose.